we immediately set out to for a glimpse of their harvest. the rustic view of rice paddies spreads out before you. 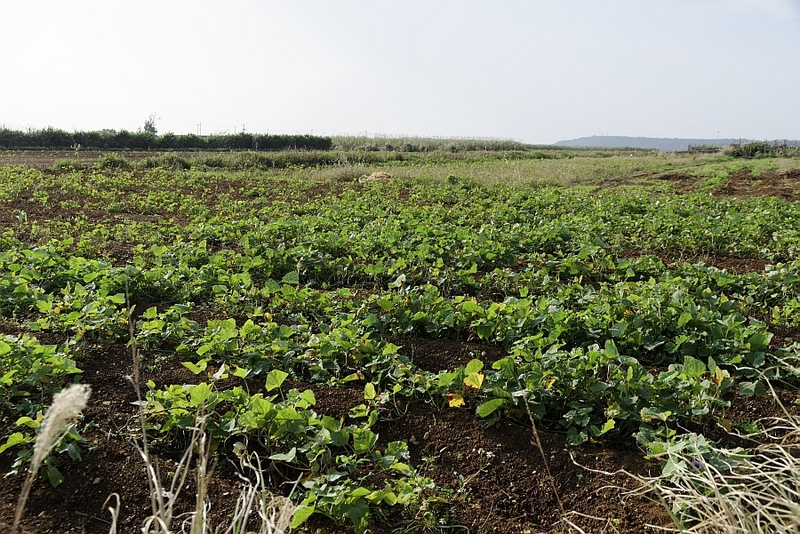 and long sunny days make it suitable to cultivate Ougon(Golden) Potatoes. 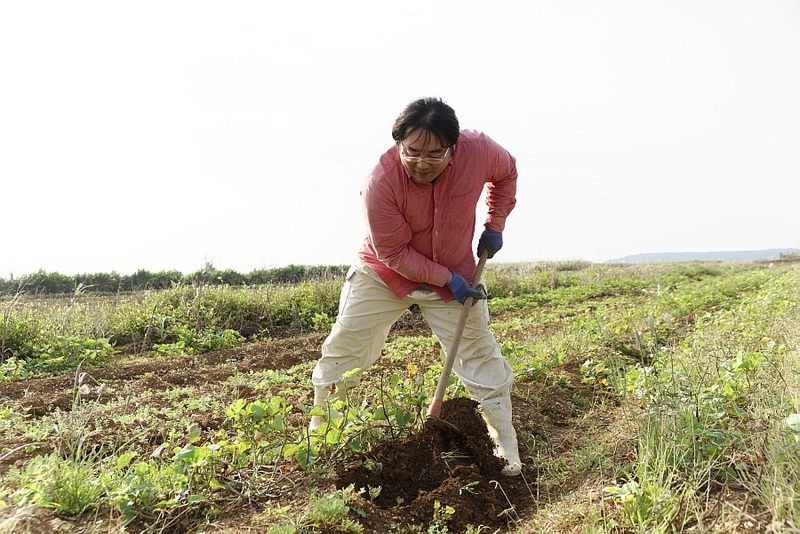 Outside, potato farmer Mr. Tomohiro Murata digs his field with a hoe. 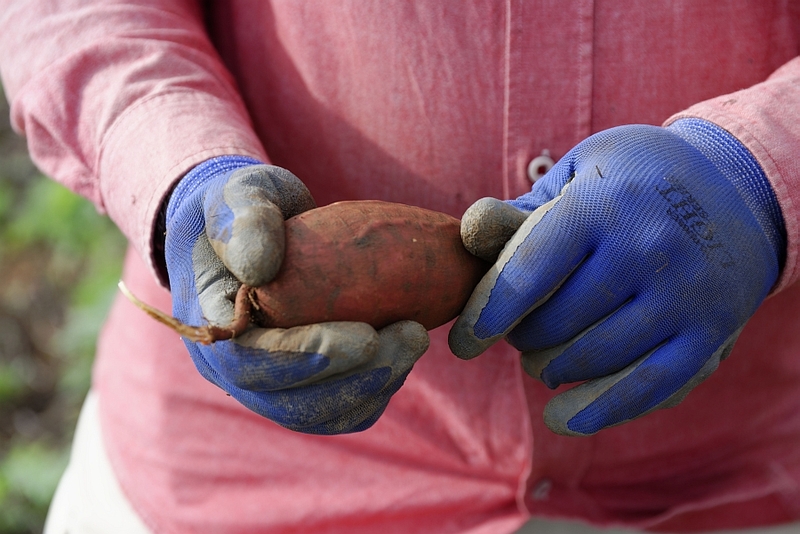 The seeds are planted in July, then the potatoes are carefully dug up during harvest season. You can tell they’re ready to harvest when their lush green leaves have begun to fade slightly. or five to six months (if planted in winter) in the dirt, awaiting harvest. dig beneath and pull it straight from the dirt. but their insides are bursting with an amazing golden color. “Making the dirt is the most important,” laughes Mr.Murata. You can tell alot about his personality just from his smile. he visited Ikei Island to stay with them for only half a year. However, it’s now been over two years since he moved to Okinawa! “The hardest part about growing Golden Potatoes is pest control. 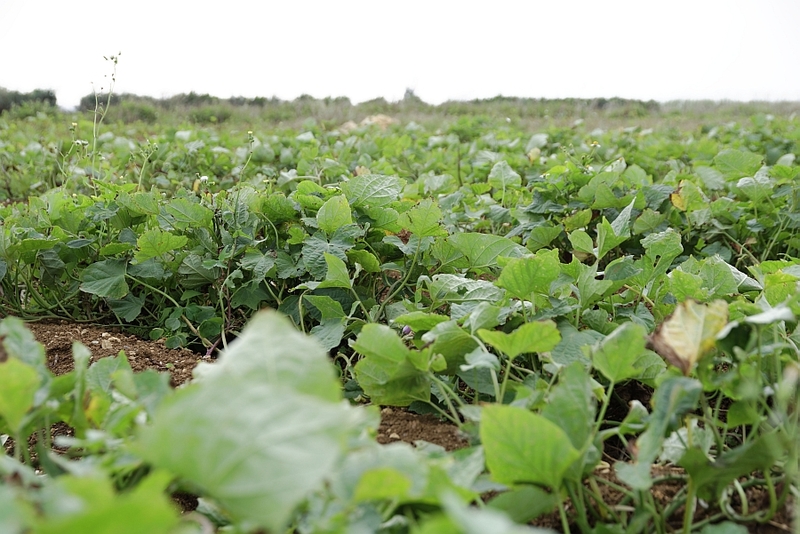 Okinawa has several indigenous insects that eat the potatoes from the stems or the dirt. It’s because the farmers put so much energy and care into their crops that the Potatoes taste delicious. 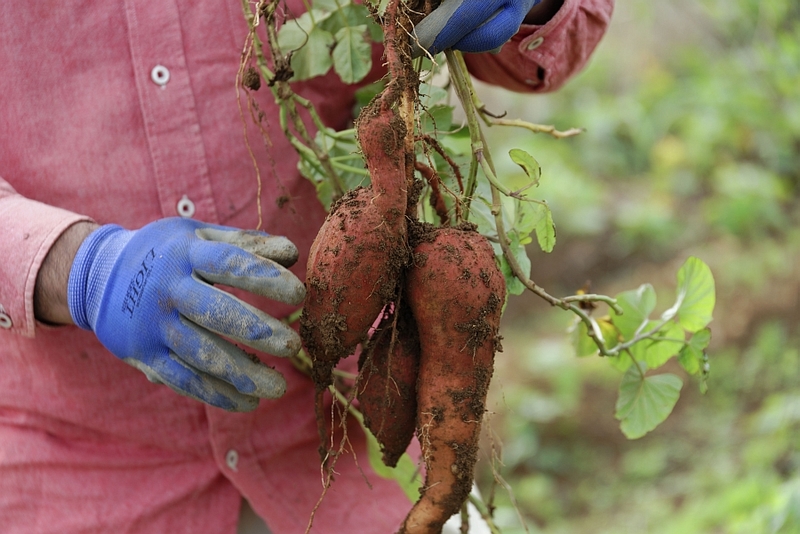 and thanks to that we’re able to produce deliciously sweet potatoes. 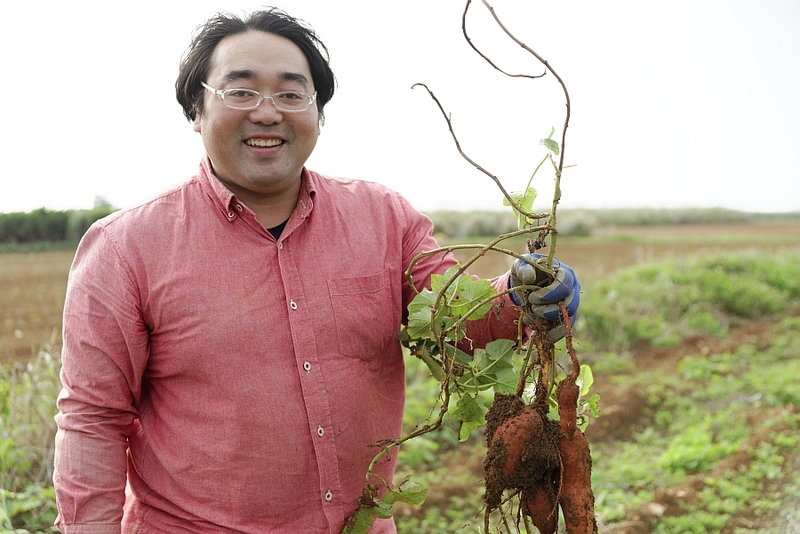 Mr.Murata has a clear image of the produce he wants to be growing in the future. These potatoes are so sweet, they are estimated to have a 20~23% sugar content. 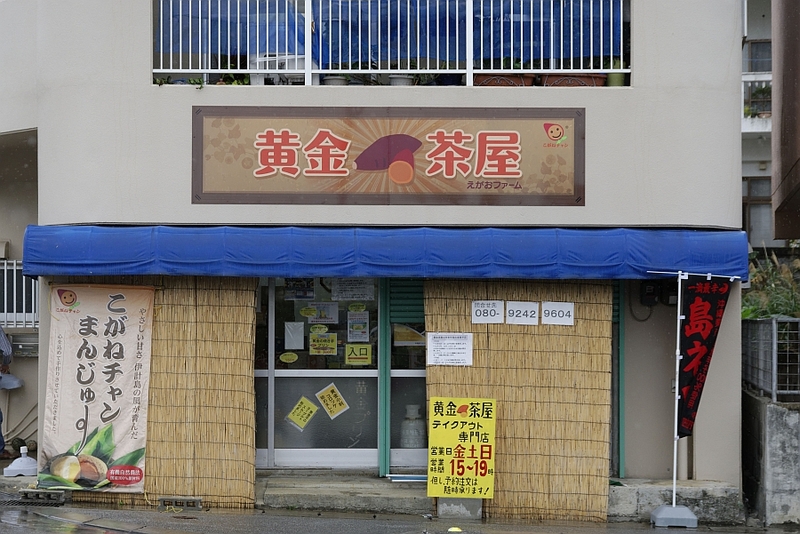 the Murata’s have opened their own “Golden Tea House” in Uruma City. 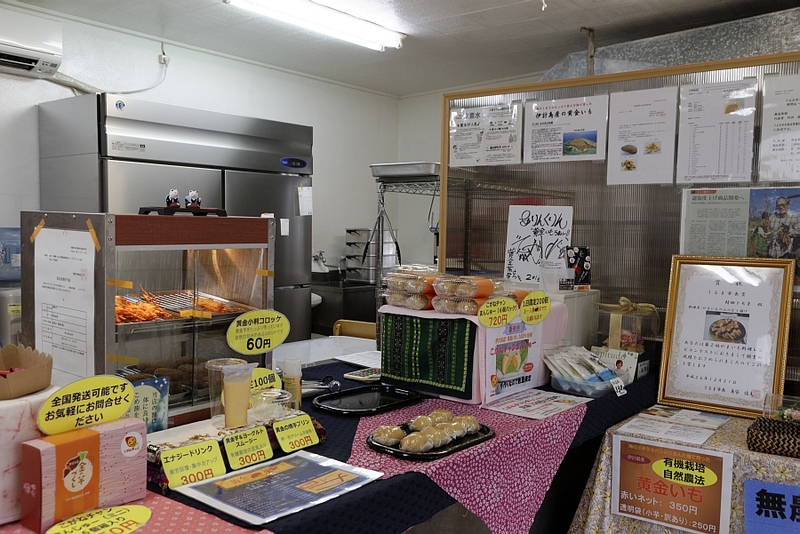 This shop, opened in summer of 2014, provides light delicious snacks made with Golden Potato. 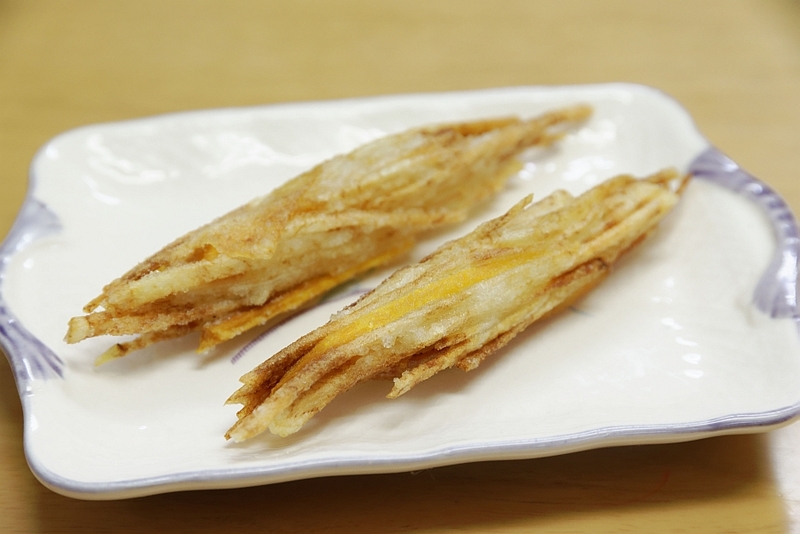 wrapped in a delicious golden potatoe paste that gives this staple item a natural sweetness and savory flavour. you’ll have eaten a handfull! for special events like birthdays or Christmas. 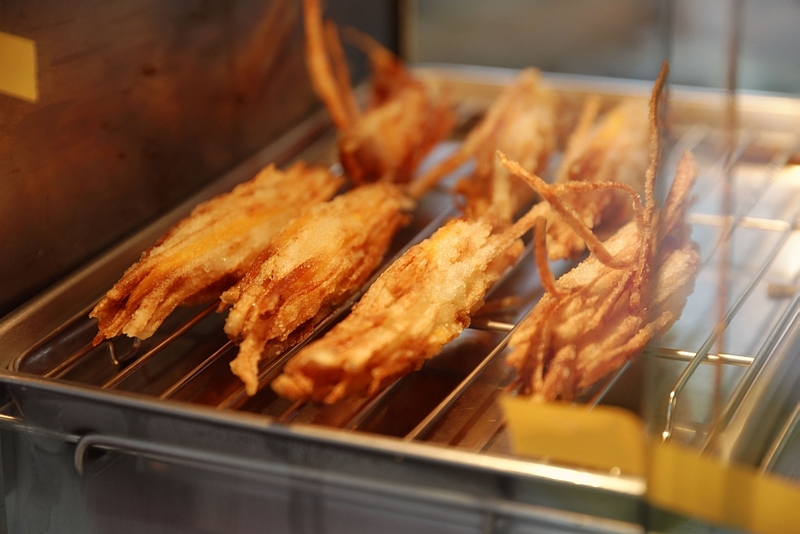 or with a dash of salt for some extra savoury flavour! 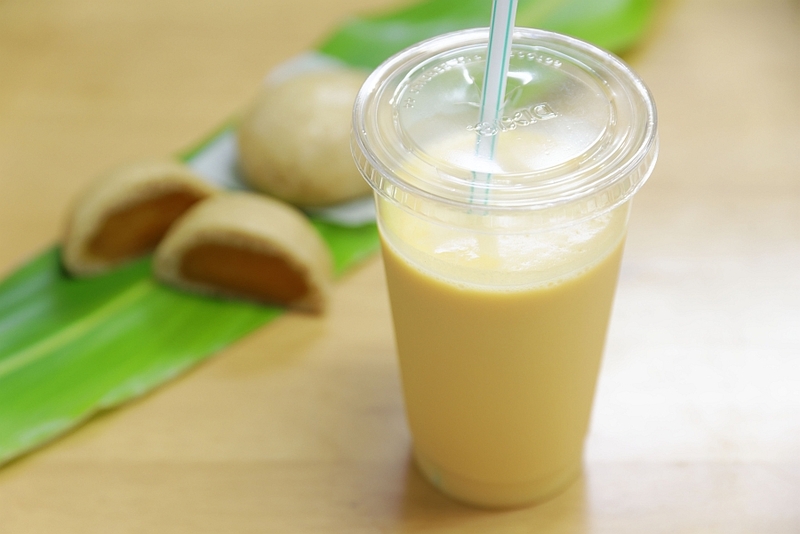 from golden potatoe blended with yogurt, Hokkaido grown soy beans, and local sugar cane. giving this snack a balanced flavour. It’s perfect for hot, summer weather. golden potato croquette, pudding, and several other novelty dishes. 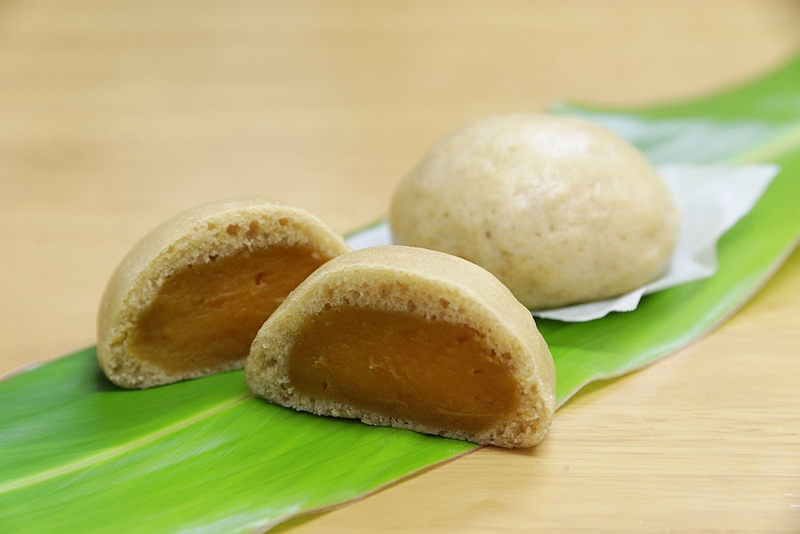 Take a trip to this wonderful restaurant and enjoy a golden meal filled with seasonal flavour.